Peeved at seeing his own mountain, Uluisolo, being dwarfed by Delainabukelevu (Mt. Washington), Taunovo set out to make amends to poach soil and rocks from the latter and lower its height. Tautaumolau was equally peeved by this intrusion into his territory and chased the poacher. 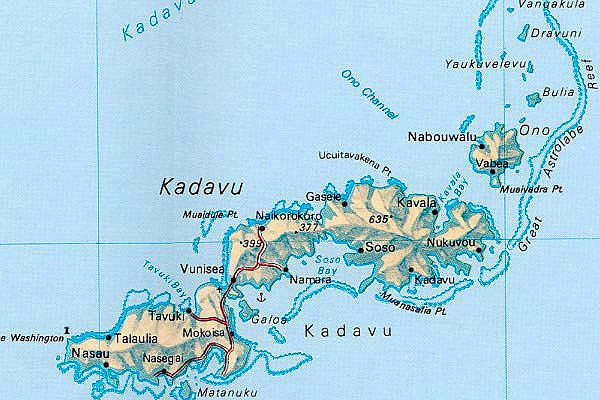 The chase that ensued resulted in spillage from the baskets carried by Taunovo and resulted in the formation of the small islands dotted along the Babaceva coastline of Kadavu mainland and north of Ono Islands, including Dravuni. Read more about Taunovo and Tautaumolau’s rivalry here! Previous Post Who was Ravuravu?